Do you ever just need a hug from your mom? I think I speak for more than just myself when I say I do. Not only do hugs feel good, but their health effects go deeper than surface level. Physical contact in the form of hugs has several health benefits. This week's challenge is to give out hugs. Whether it's a family member, co-worker, or someone you barely know, hugs can really boost anyone's mood. Researchers have found that hugs increase levels of oxytocin, the “bonding” hormone, while simultaneously decreasing the risk of heart disease. When couples hugged for 20 seconds, their oxytocin levels, which are released during childbirth and breastfeeding, increased. At the same time, the stress hormone cortisol decreased in women. 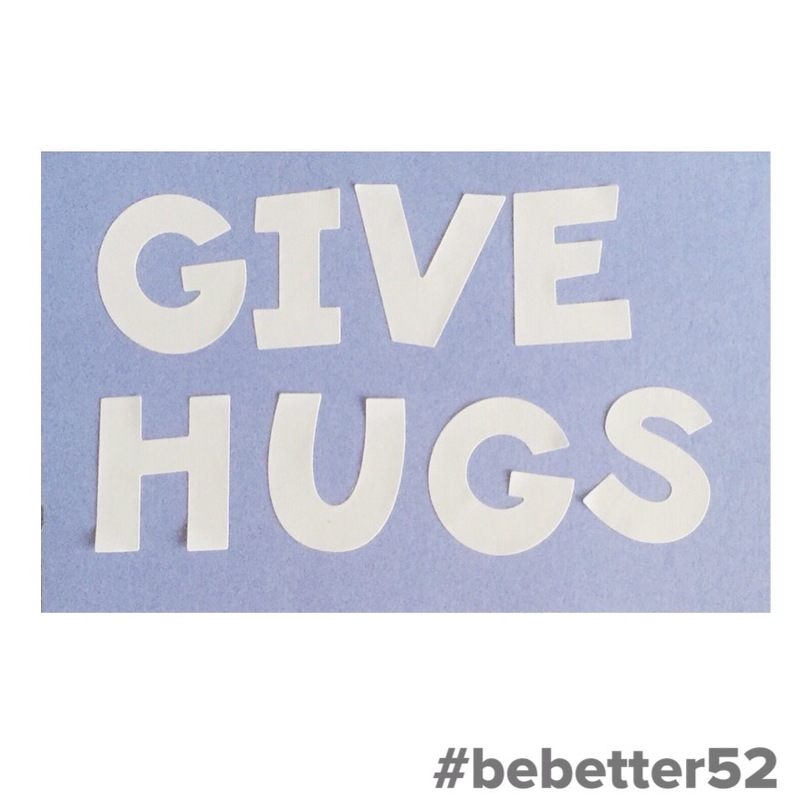 Also, an extended hug has been shown to lift serotonin levels, elevating our mood. This hormone makes us feel good. As a result, we feel more connected to the hugger, strengthening our relationship. According to Smart Heart Living, there is even a connection between hugging and heart health. A daily dose of oxytocin from hugs can help shield us from heart disease. Hugs lower blood pressure, acting as a major protective factor against heart disease. Hugs help us feel less isolated and lonely. From the time we are born, touch is used to reassure us. There is an association between self-worth and tactile sensations in our nervous systems that extend far beyond our childhood years. Hugging and physical touch make people feel connected to one another, and connect us to our ability to self-love. Hugs are more powerful than we often give them credit for. They’re free, natural, and can make someone’s day. So go out and hug the people you encounter this week!